The Netherlands has refused an Italian request to take in 47 migrants on a humanitarian ship that is being blocked from Italian ports, saying there is a need to distinguish between genuine refugees and economic migrants. 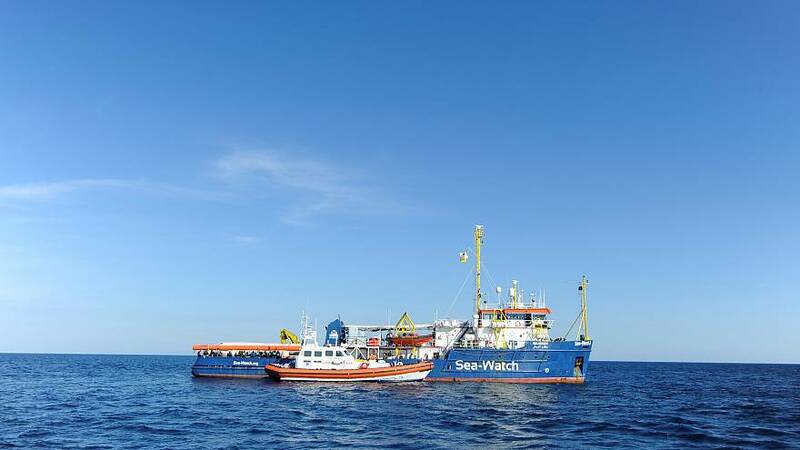 The Sea-Watch 3 is run by a German humanitarian group and flying a Dutch flag. It rescued the migrants from a rubber boat more than a week ago and has since been buffeted by high winds and 23-foot waves. The anti-migrant policy of Italy'spopulist government forbids humanitarian boats which rescue migrants in the waters off Libya to enter Italian ports and disembark those they save from foundering smugglers' boats. Italy's Deputy Prime Minister Luigi Di Maio said the ship should go either to France, which he has accused of shirking its responsibilities amid the migrant influx, or to the Netherlands. The Dutch Justice and Security Ministry, which oversees immigration policy, said on Monday that it would not take in any migrants from Sea-Watch until there was a long-term agreement on how to distinguish refugees from economic migrants. "Those who are not entitled to international protection need to be sent back immediately on arrival at European borders," it said in a statement. "Without a clear perspective for such a structural solution, the Netherlands will not participate in ad hoc measures for the disembarkation." Italian Prime Minister Giuseppe Conte's office said in a statement that Rome would refer the matter to the European Court of Human Rights, reiterating that the government had no intention of allowing the boat to dock in Italy. The statement said that the government on Tuesday "will affirm that it's not Italy that must respond in this case in the light of national and international law." It wasn't immediately clear if the court in Strasbourg had agreed to hear any case about Sea-Watch 3. Conte's statement added that as soon as Dutch responsibility was ascertained, it would help open up a "human corridor" to let the migrants move to the Netherlands. He also promised to provide supplies and medical care if needed to the humanitarian boat, which is moored off the Sicilian coast. 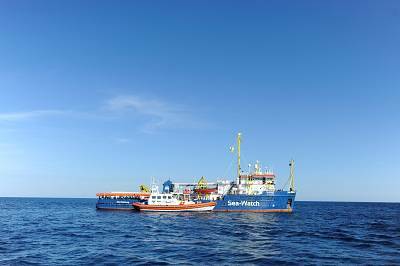 Sea-Watch 3's plight is the latest in several cases of migrants stuck for days aboard rescue vessels since Conte's government pledged in June to drastically reduce the numbers of rescued migrants reaching Italian shores. About 600,000 migrants have reached Italy on rescue boats in recent years. It is the second time in a month that the ship has been stranded at sea with rescued migrants and no safe port. The last standoff ended after 19 days and an agreement among eight E.U. countries, including Italy, to take in the migrants. The Netherlands, which took in hundreds of thousands of migrants in the 1960s and 1970s, has adopted one of the tightest immigration policies in Europe following a public backlash. Italy has questioned why Sea-Watch 3 had decided to brave stormy waters and head to Italy, rather than take the migrants to nearby Tunisia, asking whether Sea-Watch aimed to rescue people or "create an international incident."